Women in Film.Dallas presents their 11th Annual Chick Flicks Film Festival, a three-night selection of works by female filmmakers “from Texas and beyond”, October 16-18 at the Angelika Film Center. The festival serves as a fundraiser for scholarships for women and female students in the film industry. Each year the festival showcases short films by Texas female filmmakers; however, this year will also include an additional two days of special screenings and an educational panel. All screenings are scheduled for 7pm, and each will feature a Q&A session with a guest filmmaker. The schedule is as follows; for more info to register for attendance, visit here. 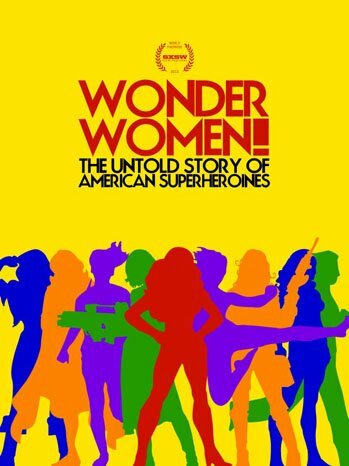 A documentary look at the evolution and legacy of Wonder Woman. From the birth of the comic book superheroine in the 1940s to the blockbusters of today, WONDER WOMEN! looks at how popular representations of powerful women often reflect society’s anxieties about women’s liberation. Executive Producer Erin Prather Stafford in attendance. October 17: Girls! Girls! Girls! An anthology of six short films written, produced, shot, edited, and directed entirely by women, each from a different genre, with a perspective on feminine power. Girls! Girls! Girls! is designed to proactively creating more opportunities in key artistic roles for female filmmakers and foster mentorships with young women. Director/Executive Producer America Young in attendance. The Chick Flicks Committee’s selection of seven short flicks by Texas Chicks, from which recipients of the festival’s Jury Award, Student Award, and Audience Award will be selected. A complete list and synopsis of the shorts can be found here.